Before the Browns … it was the Rams. Before L.A. and St. Louis … it was Cleveland. Never has a book been published that better captures a moment at which a city and its pro football team were on the cusp of significant change: the rise, glory, and departure of the Rams from Cleveland to L.A. as a presage of the ascension of the West and the Rust Belt decline that was to come. Author James C. Sulecki has conducted painstaking research to recount the entire pre-L.A. history of an organization that Sporting News called “sport’s first spectacular postwar team”: 1945 National Football League champions, the first to smash the color barrier for good, and the initial domino to fall in the inexorable push west for all of professional sports. 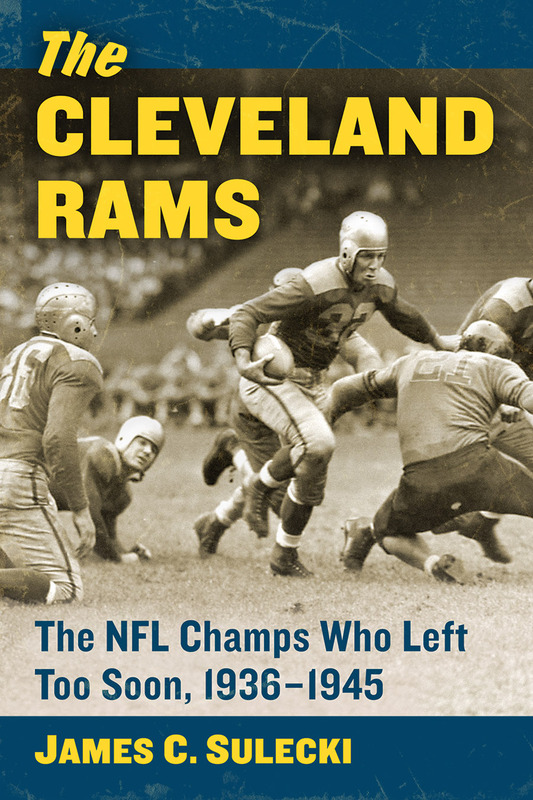 The Cleveland Rams: The NFL Champs Who Left Too Soon, 1936–1945 (McFarland, 2016) fills an important void in Cleveland, NFL, and professional sports history.